RICHMOND, Va. — An upcoming rap battle in Richmond has captured the attention of the music world. This battle, between the East End and the West End, is the latest development in the long-lingering beef between the two groups. The feud between the two Henrico County neighborhoods dates back to the early 1990s and has been primarily characterized by flow and lyrical content. East End rap, for example, commonly uses techniques such as multi-syllabic rhymes and complex wordplay during a continuous free-flowing delivery about growing up near the airport in Sandston. West End rap, in contrast, emphasizes living a gangsta rap lifestyle while cruising around Short Pump Town Center and still living at your parents’ house in Wyndham. 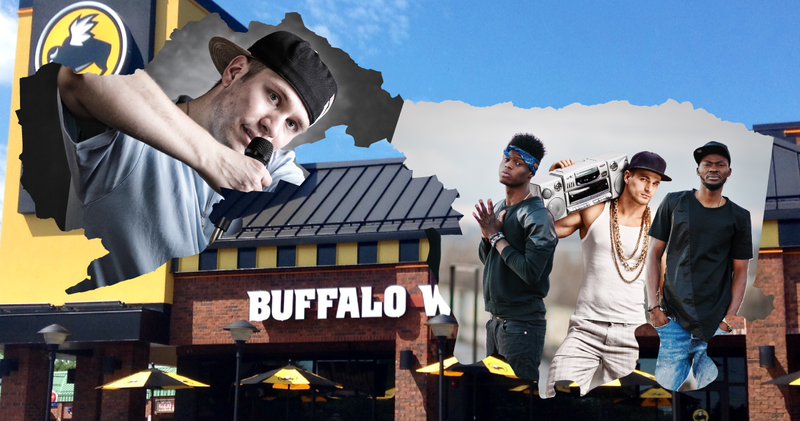 The event is scheduled to take place at the Buffalo Wild Wings in Glen Allen later this year. Representing West End rap in the battle will be DJ Jazzy Deep Run, who said that the rivalry with East End rap has informed and inspired his music.